Modelling is a multi-million dollar career in the whole world but unfortunately in Zimbabwe talented models and accredited modelling agencies have been reduced to the role of beautiful beggars and hardworking backbenchers by other industry personnels. Big names like *Kate Moss, Naomi Campbell, Gisele Bunchen, Tyra Banks, Tobias Sorensen, Lucky Smith, Sean O'Pry, David Gandy* to mention a few are some of the models who took millions of dollars home. In countries such as South Africa, trained models are given not only respect but are paid better but this is a different situation in Zimbabwe because sometimes a model maybe underpaid or may not even get paid for doing a particular job. In our contemporary society a female model might be labelled a 'prostitute' while a male model may be called a 'gay' thus the level of respect to models needs to improve so that one can be motivated to consider it as a full-time career without fear of being labelled gay or prostitute. The modelling industry in Zimbabwe is still active, considering that we have Miss Zimbabwe, Miss Tourism, Miss Heritage,Top Model of the World, Mister & Miss Africa to mention a few. that is on offer. Another challenge is to get the perfect models to walk the ramp as evidenced in 2016 when the Miss Zimbabwe pageant could not be held since the scouts said that they were not finding the perfect models for the crown. piece of the cake. 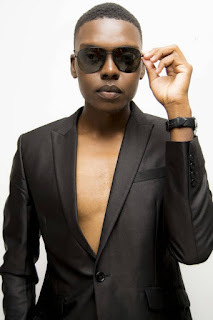 For instance we have very few Zimbabwean models who have made it on the international stage like *Jonathan Denga, Melgian Tafirenyika, Greatmore Chatya and Nyasha Matonhodze* who have worked with world class brands, magazines and designers like *Nivea, Hugo Boss. Walking for designers like Alexander McQueen, Givenchy, Versace & gracing the covers of Vogue, Elle, True Love Magazine and GQ Style* to mention a few, so if our upcoming models get a lot of exposure like this l am sure modelling will be on the different level. Moreover, the cause for few male in Zimbabwe is lack of recognition and opportunities and 95% of the male models retire from the industry whilst they are still new to the game before they reach the climax. To improve the industry, I believe male models should be given the same opportunities as females though the profession is generally regarded as a female stuff. up & physical training etc. However, this is not the case here in Zimbabwe because a model representing our country might have two to three months to prepare and this is disadvantaging her because some of the things needs a lot of time in order to be mastered. If they can do it we can also do it here, it's never too late to refresh our planning. What we need is a lot of backup from big institutions & genuine sponsors otherwise we can become a powerhouse. For beauty queens to excel at these international events the National Director must engage more in training the mind because there is need for a candidate to be strong mentally so that she can handle the pressure very well. If one is strong mentally it shows as well through their personality as they engage with the judges and other contestants, like they say it all begins in the *MIND* so l hope this year we will have our own beauty queens slaying at those international pageants and bringing the crown home. Also, for Zimbabwean models to work internationally l think local agencies should start working and sending models to other countries like *Nigeria, Ghana, South Africa, Uganda, South Sudan & Cameroon* since they have the best modelling agencies on the continent as this will equip us with advanced skills to become a successful model. We also need to work together and put our differences aside, respect each other and also be willing to learn from others.